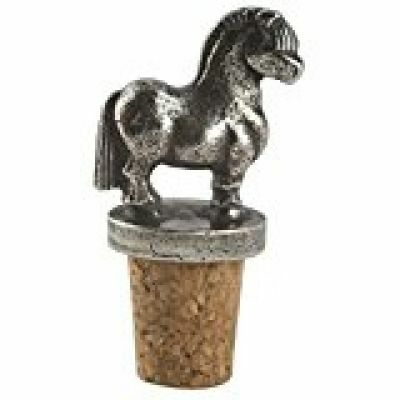 TP5801 - Viking Horse Pewter Wine Bottle Cork - Fjording. 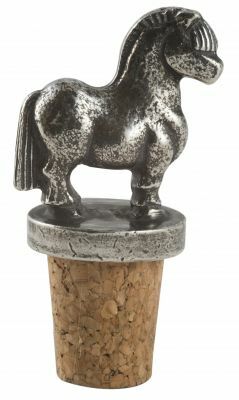 Hand cast by the artist and imported from Norway; this solid pewter and cork Wine Bottle Stopper Fits Standard 750 ml Bottles and Most other Bottles and is of the highest quality and level of detail. A Very Unique and Unusual Wine Lover Gift. 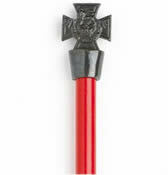 We offer a number of unique wine bottle stoppers; please see our other styles. This is the quality of wine stopper handed down for generations and cherished for its unique beauty. See our other fine brooches, earrings, necklaces and cloak clasp in hand cast pewter. Bygdetinn This wine stopper is inspired by Norwegian culture and traditions.